Before now, actors were not taken seriously in the society. Now their importance and contributions to social development are being recognised by various strata of government, which explains why some of them are being invited by serving governors, to contribute in governance as well as serve as role models to the up coming youths in the society. Today, with their exposures in movie industry, they sit on top, fashioning a new track in public service, I think this is an opportunity for them to serve, more than anything else. Enthusiast, they fancy themselves as entertainers that create ideas and bring those ideas to fruition. Those ideas sometimes come in form of scripts and songs. At the end of the day, when you bring the ideas together, people tend to appreciate it. What do you think they can do now that they are in government? One thing is sure. It is said, to whom much is given, much is expected. The reward for handwork is more work. With your support, strength, and divine wisdom from God, they will be able to excel in this new challenge. Again, since they used Nollywood as a platform to portray the ills of the society and suddenly they are in the government, it is a beat easy to avert the problems and worries of the people. 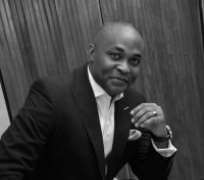 Richard Mofe-Damijo (RMD) was appointed the Commissioner for Culture in Delta State. He's one of Nigeria's most recognisable faces and has been in the spotlight for a long time. He previously held the post of Special Adviser on Talent Development to Emmanuel Uduaghan, Delta State Governor. Born on July 6, 1961, the new commissioner had stints in the media before his acting career blossomed. He was Arts and Culture reporter for the defunct Concord Newspaper, a writer for Crown Prince and Classique magazines and later publisher of Mister Magazine. A multiple award winning actor, Mofe-Damijo is best known for hit films including Critical Assignment, Out of Bounds, Keeping Faith, Private Sin and The Intruder and many others. Having starred in numerous movies, he is one of Nigeria's highest earning actors, though he likes to play “well grounded characters” in his movies. RMD wears several hats: he's a playwright, poet, publisher, entrepreneur, and recently bagged a law degree from University of Lagos. He was once married to the late Nigerian journalist May Ellen Ezekiel Mofe-Damijo. Through a relentless pursuit of professionalism in Nollywood and an innate ability to do common things in an uncommon manner, Mofe-Damijo has emerged the actors' actor. Popularly called RMD, Mofe-Damijo has been associated with virtually every icon of show business from Denzel Washington to Richard Gere. He has brought a lot of glamour to the acting profession. Today, because of his composure outside the movie world and success in journalism and public relations outfit called Whitewater Limited as part of his production company, RMD is the focus of competition - the man to beat. He calls the shots, sets the pace, dictating the rhythm of the industry. Until date he is the highest paid actor, with less than twenty films to his credit. Okechukwu McAnthony Onyeghule, popularly called Okey Bakassi, a highly sought after stand-up comedian, Nollywood actor, master of ceremonies and acclaimed all round entertainer, was recently appointed an Executive Assistant to Governor Ikedi Ohakim of Imo State on Entertainment. Popular and quite athletic stand-up comedian, Okey Bakassi, started out as a television actor. He is happily married with two daughters and armed with a Bachelor of Technology Degree in Agricultural Engineering from Rivers State University of Science and Technology; he first came to Lagos for his youth service. “I was a member of the NYSC drama troupe. So it was only natural at the time that I wanted to be part of what was happening on television, I had a little audition with Zeb Ejiro, and he introduced me to his brother, Chico. That was how I got the role, Nick, a bodyguard to the Johnson. Aside from acting, he is also a producer, and has been in the business of entertainment for 15 years. Hilda Dokubo Mrakpor started acting in 1991 and is a youth advocate from Buguma in River State. The first daughter, married with two sons and a graduate of Theatre Arts. She also has a master's degree in Theatre Education from University of Port Harcourt. Hilda Dokubo Mrakpor believes that the opportunity given to her to serve the people in a different capacity was made possible through the experience she gathered in Nollywood. Toward her drive to help other people and the passion to fight, to eradicate hunger and challenges of her immediate environment through her NGO “Street to Star” project, she was appointed as special adviser to the governor of River State on youths in 2007 and so it opened doors for her to have direct interaction with a lot of young people. As an actress, it is difficulty for her to have that kind of access because there are people out there waiting to be reached but the job provided the opportunity for her to talk with young people who wanted to do so many things but they don't know how to do them. “They want to be famous and don't know how. Some do not have the opportunity of exploring their potentials. Our educational system was nose-diving; people went to school but were not educated. Our country has given us so much and it is time for us to give it back to the society,” she said. While in government, “it is about what you are able to do for the people, it is about impacting lives, it is not a tool for enslaving people, it is a tool for doing things for people. I am a leader just like the little child in the home. We all need to understand that we have a very special role to play in the development of our society, state, and nation. “Since my inception as a special adviser, River State Youth Parliament can boldly voice themselves in ways they were not able to do before and come up with their own articulation of politics. It became youth friendly, they could tell you what each article represents. I also taught them to look at what government says they have given to them so they were able to either accept or reject it. Onyeka Onwenu is a woman of many parts. Broadcaster, singer and actress rolled into one. From her broadcasting career with the Nigerian Television Authority (NTA) in the 80s, to singing career and later Nollywood, the Elegant Stallion was ranked among the best artistes that Nigeria has produced. She launched her first album Endless Love in 1979. Onyeka had in year 2000 laid siege at the gate of NTA and for over two weeks she lived in the open, a protest that elicited the support of notable personalities such as Lagos lawyer Gani Fawehinmi and Charley Boy. Her grouse was alleged non-payment of royalties to artistes whose works the NTA was commercially telecasting. In 2003, she joined the fray, vying for the chairmanship of her local government in Imo State, Ideato South Local Government on the platform of the Peoples Democratic Party (PDP). Amidst her tight schedule, the mother of two revealed her attachment to her late father, Late D.K Onwenu, former principal of the famous Enitona High School, a member of House of Representatives in the first Republic, former Deputy Mayor of Port Harcourt, career, kids and other issues. Fare enough, she steps into the big shoe of her father, who died over 50 years ago, fondly called 'The Old Teacher.' by late Tafawa Balewa colleagues. In September 8, 2006, she celebrated her 25 years as female music icon on stage “In the history of Nigeria, no Nigerian female has engaged the Entertainment industry like the multiple award winning, Onyeka Onwenu (MFR). As a singer, Onyeka has for a period of 25 years lifted the spirit of the nation with some of the most memorable songs in the history of our country. As an actress, she has been an outstanding star in the Nollywood experience. Either as a broadcast journalist or a writer, Onyeka Onwuenu has been nothing but special.